Joh 20:20 And when he had said this, he let them see his hands and his side. Then the disciples were glad when they saw the Lord. Joh 20:21 And Jesus said to them again, May peace be with you! As the Father sent me, even so I now send you. Joh 20:27 Then he said to Thomas, Put out your finger, and see my hands; and put your hand here into my side: and be no longer in doubt but have belief. 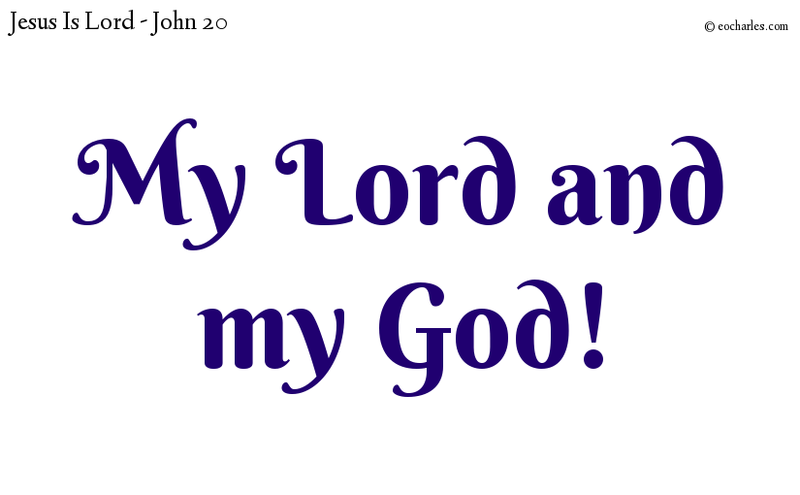 Joh 20:28 And Thomas said in answer, My Lord and my God! Joh 20:29 Jesus said to him, Because you have seen me you have belief: a blessing will be on those who have belief though they have not seen me! Joh 20:31 But these are recorded, so that you may have faith that Jesus is the Christ, the Son of God, and so that, having this faith you may have life in his name.